​​ THE WOODLANDS – Approval for construction of the 11-mile Spring Creek Nature Trail has been received from the Texas Parks & Wildlife Department. 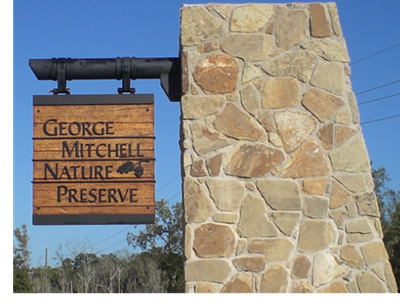 Construction will begin on the Harris County side of Spring Creek at the George Mitchell Nature Preserve and move eastward. Construction on the Montgomery County side is scheduled to begin in late 2017. The natural surface trail is funded by a Recreational Trail Grant of $100,000 from Texas Parks & Wildlife with matching funds provided by Bayou Land Conservancy (BLC), The Woodlands Township, and REI.